Breanna D. Meier. Photo courtesy of Bartholomew County Sheriff’s Department. Ivan Hendrickson. Photo courtesy of Bartholomew County Sheriff’s Department. The previous investigation involved 34-year-old Kristen Hunter of Columbus who was first identified as smuggling drugs in late February. She had been sentenced to 30 days in jail for possession of a controlled substance. 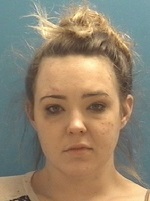 But a tip led to a search that recovered two and a half grams of heroin, suboxone pills and cigarettes hidden inside her. Two men have been implicated in that case, according to deputies. 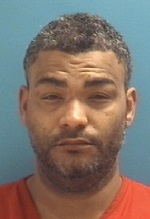 40-year-old Ivan Hendrickson of Columbus is facing new charges of dealing in narcotics and conspiracy to deal narcotics. 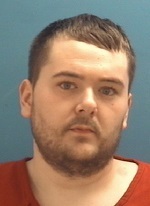 26-year-old Tyler Green of Columbus is being charged with conspiracy to deal narcotics and conspiracy to traffic with an inmate. Hendrickson is being held in lieu of $600,000 bond and Green on $500,000 bond. Tyler J. Green. Photo courtesy of Bartholomew County Sheriff’s Department.